Smart strategy. Swift action. Successful outcomes. Tarley is an ambitious and focused commercial litigator with a natural legal mind and an innate ability to implement action with precision. 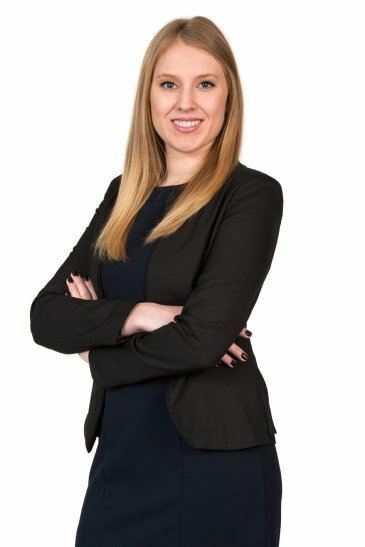 Although Tarley was admitted to practice in September 2015, she has had over three years’ experience working with the dispute resolution and insolvency team and is already making her mark in legal circles and impressing our clients. Before she began her career in the legal industry, Tarley was developing her multi-tasking skills as an emergency veterinary nurse, juggling and thinking on her feet, with the need to make fast decisions and the ability to handle lots of pressure. That experience has helped develop Tarley into a highly focused and driven young lawyer. With degrees in both Law and Behavioural Science, Tarley has a unique ability to understand how people think and develop logical yet innovative strategies. She has a wide range of experience in contract, building and construction, estate, franchising, property, joint venture, professional indemnity and negligence, defamation, competition and consumer law, bankruptcy and debt recovery disputes. Tarley is also building a solid reputation in Court having made appearances as counsel and instructing counsel in both simple and complex matters before the Magistrates court, the District Court, the Supreme Court and the Federal Court. Tarley has also worked on matters in the Fair Work Commission. With an altruistic nature and a desire to use her skills to help others, Tarley has been involved in a number of volunteer and pro bono organisations, including the JusticeNet Self-Representation Service and the Housing Legal Clinic.